Google Wifi was designed for all the new demands you put on Wi-Fi. It can handle multiple devices streaming, sharing, downloading, anywhere in the house. So go ahead and binge watch in the bedroom, game in the basement, and video chat in the kitchen. Advanced Google software works in the background to manage your network so you never have to. Network Assist always selects the clearest channel and fastest band for your devices, plus offers helpful insights so you always get the most out of your Wi-Fi. Through the companion app, it's easy to share your password with guests, prioritize devices on your network, see what's connected, and more. 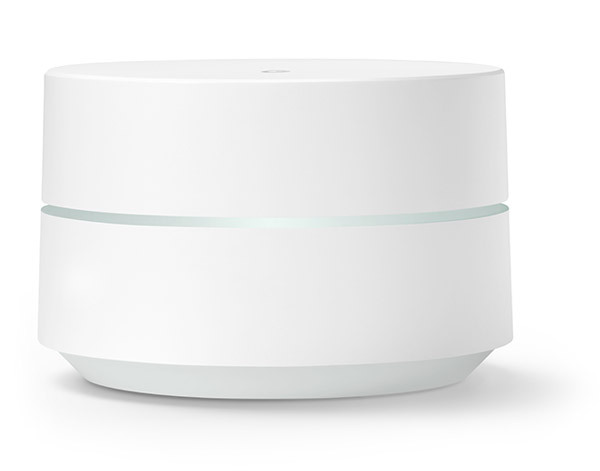 Google Wifi allows you to pause the Wi-Fi on kids' devices, like during bedtime or dinnertime. 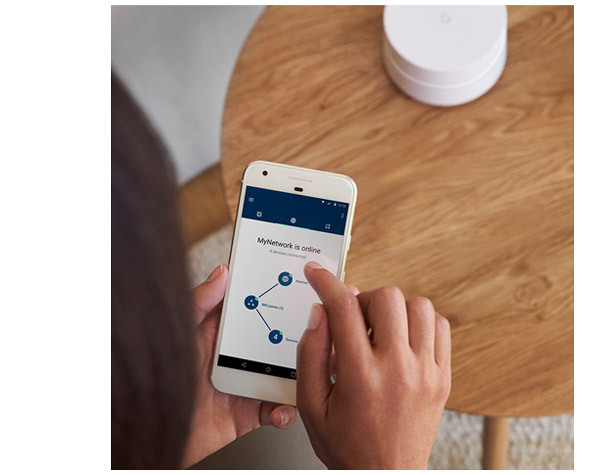 Because Google Wifi points work together, you can grow your system if your needs change. If you have a smaller home, start with a single point and add on if you need more coverage.